Best Online Casino Bonus Deals for April 2019 – Casino Bonuses for Your Game and Bankroll! Here is the freshly updated list of casino bonuses for April 2019. As usual you will find my top picks of the easiest to clear bonus offers at the biggest and best casinos first of all below. This will be specific to your location. Since we all like different kinds of bonuses, the full list of offers are then included lower down the page – along with background advice which will ensure that High Tech Gambling readers never fall into the traps that some casinos hide for players who do not read their terms! What to Look for in Casino Bonuses this April? Ongoing rewards and player promotions have a much bigger effect on your bankroll over time than the short-lived welcome bonus offers! The biggest and best casinos know this – though many of the smaller / newer casinos do not offer too much when you look beyond the welcome offer. I still take advantage of the welcome bonuses (see below for how to check the terms), these can add a lot of play. After 30 or sometimes 60 days, these will be gone – the casinos you’ll want to return to after that are the ones which offer great promotions or loyalty schemes combined with the best selection of games. If you overlook these 5 key things, then you could easily end up with a bonus which is nothing like as good as you expected. I have taken examples from the terms of different casinos to demonstrate. Is the wager-through just the bonus amount, or does this casino take the deposit and bonus amount together? (this effectively doubles their published play-through). If you can find a bonus with 25 times play-through, that is great. Most will be around 35 to 50 (unless combined) and the bad ones will be >50. 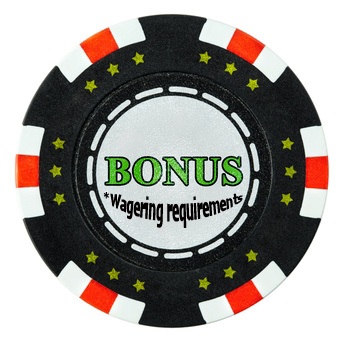 To get to the total wagering requirement, you multiply your bonus by this amount. For example a $50 bonus with a 35x play-through means you need to bet $1750 at the tables before it is cleared. #2 – What are the Weightings of Different Games? Casinos organize their bonuses so that some games count at 100% towards their play-through requirement, while others only make a small contribution. Here is an example, if you see Blackjack at 25% of the wager-through, then every $100 you bet takes off $25 from your total wagering requirement. The reason these weightings are in place is so that the casinos can protect themselves from people abusing the bonuses by playing low-risk games. Sometimes you’ll find games with just 5% or 10% contributions – or even excluded completely. If you are a Roulette fan, you might well find certain coverage bets discounted. For example one casino does not count anything with 60% or more of the numbers covered, counts up to 50% of the table at just 5% and only counts inside (single number and combinations less than 20% of the grid) at 25%. Slots are usually counted at the full 100% of your wagering requirement. The solution here is clear. Take the time to check your casino’s terms for your favorite games – and then makes sure that you choose the games with the highest contributions. This is a particularly tricky area to navigate. 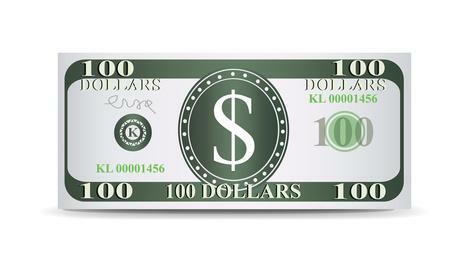 Legitimate casinos are not looking for ways to take away your bonus, however many of the lesser brands may well be. You can spot some wording to the effect that certain games are excluded from the bonus and that playing them can void your bonus. Examples include Roulette and sometimes other low-edge games like Baccarat. The worst thing about casinos who enforce these terms is that you’ll only ever find out when you complete the requirements and try to cash out. #4 – Cashable Bonuses v Uncashable Bonuses. There are three categories of bonus when it comes to your ability to cash out your winnings. Most bonuses fall into the ‘disappearing’ category. This means that when you cash out (whether or not you have completed the bonus), the amount disappears. You are only able to cash out any money you won in this situation. At the other extreme, some casinos allow you to cash out the bonus amount as well as your profits. This could balance nicely against a higher wager-through requirement. In between, some casinos allow you to cash out your profits, and will leave your bonus in your account. This means you get to play with it again to see if you can win more, though you’ll never be able to cash out the bonus itself. Many casinos offer you extras on top of the main bonus when you sign up. This could be free spins on a featured slot. Tournament entries, or even some cash-back if you lose your deposit on the first day. These deals are all very nice, however I recommend that you stick with the main bonus terms when making a choice. The reason is that these extras are usually lower value, and also have their own terms and conditions (including very strict play-through conditions + winning caps). See an extra as a nice-to-have, and make your decision based on comparisons of the main bonuses. Here is the bottom line with casino bonuses, most people are looking at completely the wrong things. Comp Scheme: You’ll collect points as you play, then exchange these for cash bonuses. Many schemes have better terms the more points you collect / longer you play. Reload Bonuses: Deposit again, get yourself a new bonus. Some sites offer these every day, others tie them to specific games and some even have a blanket bonus covering every deposit you make. Free Spins: Often on featured slots, a win-win as the casino is looking for publicity and the players get the chance to win money. Tournament Entries: Slots or even Blackjack tournaments are a popular extra. Promotions: This is a bit of a blanket category, the best casinos are keeping players involved with new promotions every week, prize draws, extra chips for completing challenges and even more imaginative options. Some brands also have sportsbooks, and will often try to cross-promote with free bets on major events. This can be a great no-cost way of enjoying your favorite sports. If you are outside of the US, the single biggest asset in the fight to get your share of bonus money will be an e-wallet account – I recommend Skrill. This is a virtual account, where you hold money and can deposit and withdraw to online casinos quickly and easily. There are security benefits, which are discussed in my Skrill Casino deposits article. The main benefit for bonus hunters is that you can keep some or all of your casino bankroll in your account, and move fast to take advantage of short term bonus offers and promotions. Cashing back out into your Skrill account afterwards.